If you have an upcoming oral surgery, it is easy to feel anxious or uneasy about the procedure due to the fear of pain or discomfort. At Muskingum Valley Oral Surgery, Dr. Jeff Lee understands your concerns and works to promote a stress-free appointment. He uses general anesthesia to put your worries at ease while enhancing your comfort during your surgery. Now, you no longer need to feel frightened or anxious about your procedure. Dr. Lee will help you relax. 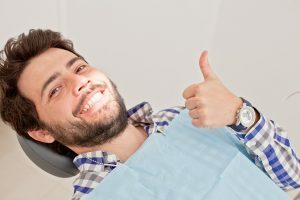 No matter if you need a wisdom tooth extraction or the placement of implant posts, your oral surgeon and implant dentist in Marietta, Dr. Lee, can help. How Can General Anesthesia Help Me? General anesthesia can be used for an array of purposes. Often, those who have dental fears and phobias benefit from it to help feel relaxed during their appointments. However, it can also be beneficial for those who have difficulty staying in one position for too long, keeping the jaw open, or a strong gag reflex. In some cases, Dr. Lee may recommend it if you need an invasive procedure, such as the surgical extraction of your wisdom teeth. He may also suggest general anesthesia if you need multiple procedures performed. This allows him to quickly perform the treatments in a single appointment while keeping you comfortable. What Can I Expect with General Anesthesia? When administered by a trained professional, like Dr. Lee, general anesthesia is safe and effective; however, it may not be right for everyone. You will first need an initial consultation to ensure you can safely benefit from it. During this time, Dr. Lee will also determine which type of anesthesia will best meet your needs. Prior to your appointment, Dr. Lee will give you instructions to follow, such as not eating or drinking anything for at least 8 hours prior to your procedure. You may be advised to stop certain medications, which can interact with the anesthesia. After the anesthesia is administered, you will become unconscious so you will not be aware of any pain or discomfort. Dr. Lee and his team will quickly perform the necessary procedures while you sleep through the appointment. While you are sedated, your heart rate, blood pressure, and oxygen levels will be closely watched to ensure your safety. Once your procedure is complete, you will remain in our office for a brief period of time before you are discharged. You will not be able to drive yourself home, so you will need to make arrangements before your appointment to have a friend or family member with you. You will also be given strict aftercare instructions, such as limiting your activities for the remainder of the day. Where Can I Benefit from General Anesthesia? If you need an oral surgery, you have nothing to fear with Dr. Lee. As the trusted oral surgeon in Marietta, you can comfortably enjoy the procedure without any concern. Contact Muskingum Valley Oral Surgery today to schedule your consultation for general anesthesia.